Travis Cook, driver of the #4440 car, representing team TCP_Racing, hailing from the "Show Me State" of Missouri. 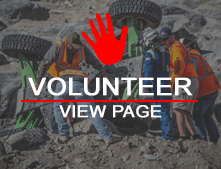 Cook has been racing in the Ultra4 4400 class, since 2010 & has had multiple top 10 finishes in the Ultra4 series of races, along with his 6 appearances at King of the Hammers. In 2011, Cook's very first year racing KOH, with an incredibly difficult starting position of 88th, he not only finished the race, but also battled his way to a 36th place finish overall. Cook has finished 3 of his 6 total times racing at KOH, with an impressive 13th & 14th place finish in recent years.